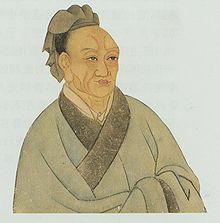 The "Ranked Biographies" (lièzhuàn ���傳, usually shortened to "Biographies") is the largest of the five Records sections, covering chapters 61 to 130, and accounts for 42% of the entire work. The 69 "Biographies" chapters mostly contain biographical profiles of about 130 outstanding ancient Chinese men, ranging from the moral paragon Boyi from the end of the Shang dynasty to some of Sima Qian's near contemporaries. About 40 of the chapters are dedicated to one particular man, but some are about two related figures, while others cover small groups of figures who shared certain roles, such as assassins, caring officials, or Confucian scholars. Unlike most modern biographies, the accounts in the "Biographies" give profiles using anecdotes to depict morals and character, with "unforgettably lively impressions of people of many different kinds and of the age in which they lived." The "Biographies" have been popular throughout Chinese history, and have provided a large number of set phrases still used in modern Chinese.